So we did not end up winning the Superbowl and our team did not end up playing like we had expected them to or they had hoped to. And we ended up eating a lot of food on One Single Day! Even though I had planned on watching my portions, that sadly also did not go as planned. There was a lot of stress eating involved during and after the game. That is the thing with best laid plans. Sometimes they go awry. So did this one! But now that the dust has settled and the emotions all calmed down, I figured it was time to get back on track and bring in some more nutrition in everything I cook and eat and clean up the diet. No, mine is not the “diet” kind of family and I am not a person who can be on a restrictive diet. Even if the restrictive diets worked I wouldn’t even be the last person to sign up for it. I am also not that much into skinny eating. A smidgen of butter works just fine as long as I keep a smidgen and not use the entire stick in my soup. To kick start the nutritious eating, I fell back on my roots and decided to make this Khaman Dhokla from Gujarat, India. 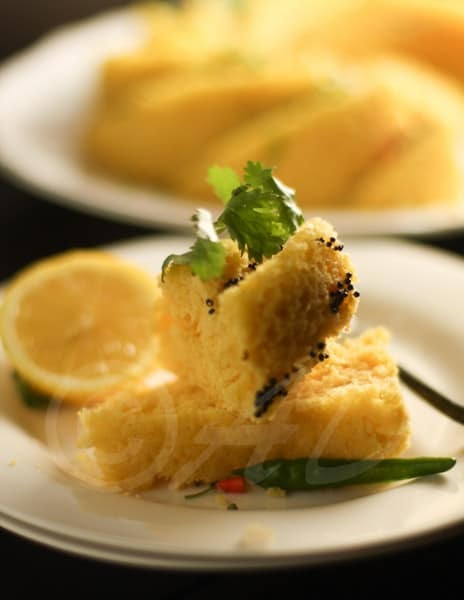 Khaman Dhokla is made from the flour of chickpeas also known as Garbanzo / Egyptian peas/ Bengal grams and Channa. Since Garbanzo beans are a source of protein and fibre, they are essentially a satiating food. Eating a cup of Garbanzo gives us as much as 50% of the DV for fiber and 29% of the DV for protein. That is a huge trade off. Since it is chockfull of fibre and protein, it is great for regulating the sugar levels in the body. And they come with a rich supply of antioxidants and concentrated supplies of antioxidant phytonutrients which means better cardiovascular health. 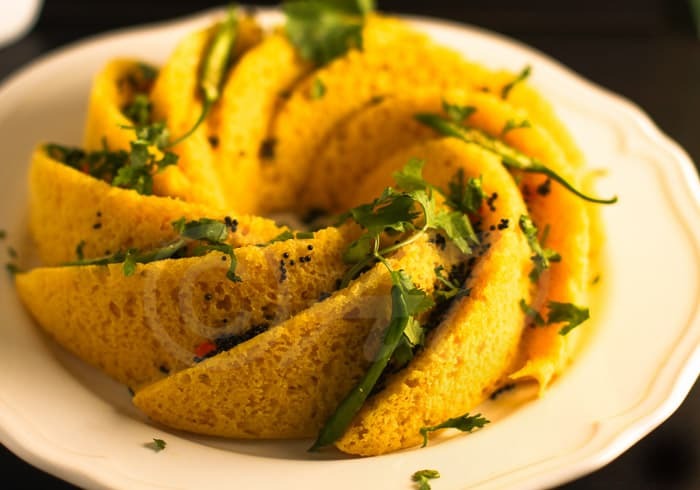 Khaman dhokla is a classic Gujarati snack with a sponge like texture and is flavored with spices and lemon. The chickpea batter is steamed and then a tempering of spices is let to seep in and finally it is served with some chutney. 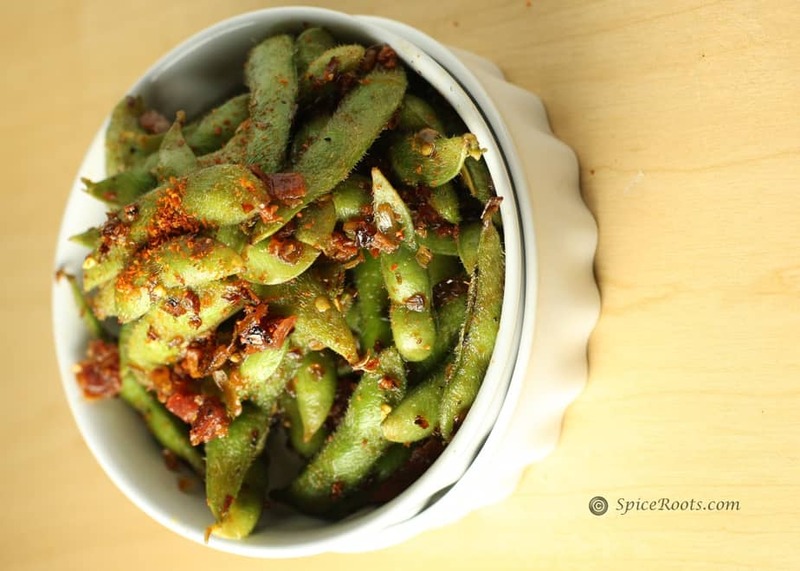 It is a great snack to have on hand as it refrigerates well and warms up well in the microwave. or something similar, I went ahead and devised a plan to make it more universal. I found that steaming it inside a bundt cake pan worked wonderfully as well. 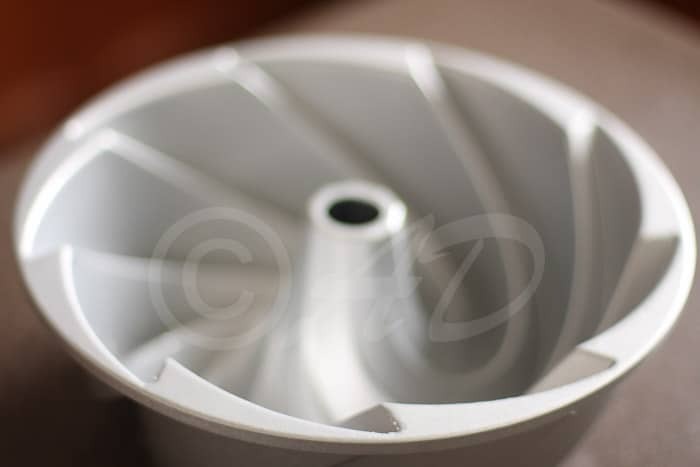 The additional height of the bundt cake pan gives the batter a protection from the water bubbles and adds to the beautiful look. Alternately a regular cake pan will work just as well. What are your recent best laid plans that almost went for a spin and you took action to bring them back ? Or Am I the only one who always lets plans slip by? Sieve the besan/ chickpea flour into a mixing bowl. Take a large pot. You need something in which the small pan can fit in. Add water in the pot and bring it to boil. Add about a cup of water to ensure enough steam in the pot, but not so much water that it boils over and fills the smaller pot. Add the lemon juice and Fruit salt (eno) to the standing batter and mix. do not stir too much. Quickly put this batter in the ready pan and then keep it in the large pot to steam in. cover the large pan with its lid. check for doneness as you would in a cake, by inserting a toothpick. If it comes out clean, the dhokla is ready. Lift the pan up from the steaming pot and leave it to cool. Add in the then add the curry leaves, chillies and cook for a bit. Add in the lemon water and allow it to heat up. Pour it over the steamed dhokla that is now resting. Let the tempering soak in, then invert the dhokla on a plater and garnish it with the garnish ingredients! 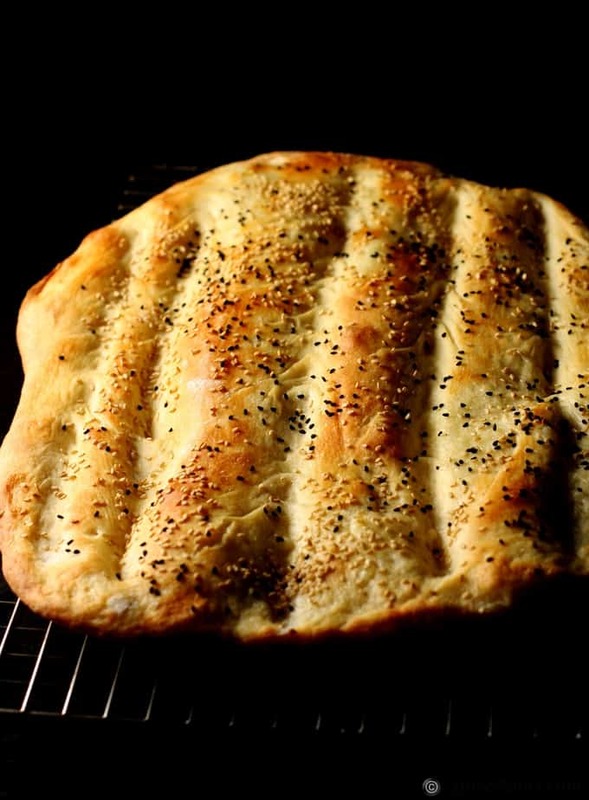 Slice and serve with chutney. I like it without the chutney. Wow this looks so nice & yumm !! 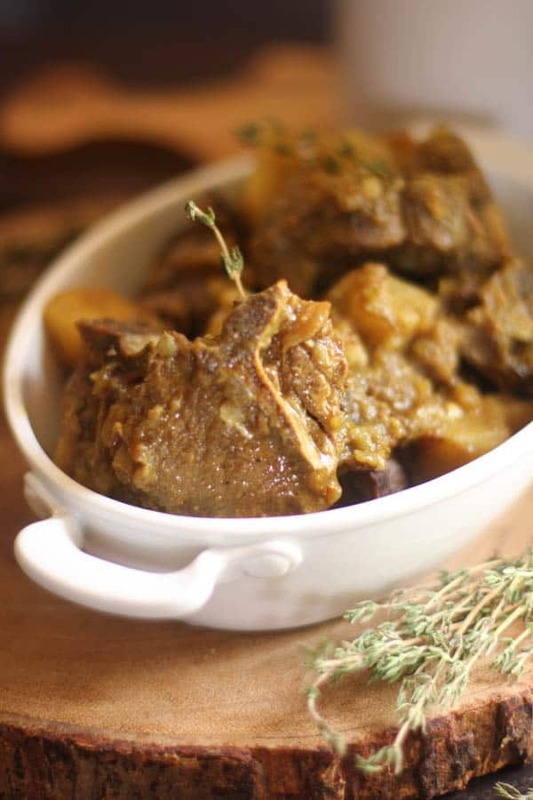 Indian receipes sounds really mouthwatering…. It came out great Ansh! I used idli moulds 🙂 Thanks for the detailed instructions! Awesome!! 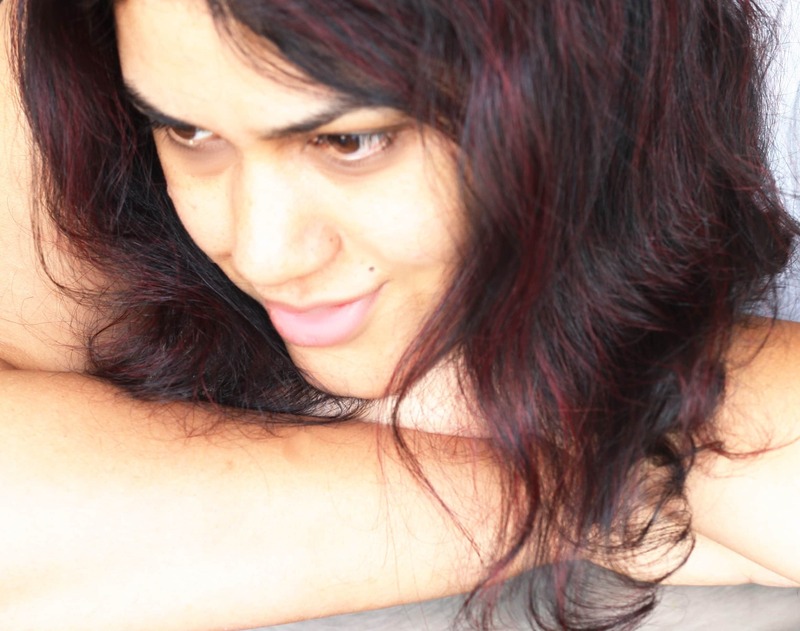 I am glad you liked it, Pavani. Wow Khaman Dhokla, Indian… I’ve never had it before. I have never been big into Indian food, but I think I’m going to have to give that dish a try. Could be a game changer. I have never seen anything like this before – it looks wonderful! I believe eating is all about moderation. A lot of healthy and a little indulgence, otherwise, life’s no fun at all. I agree with you Laura. A little dash of real butter is way better to me than half a cup of fat free something. I try and eat food with nutritional benefits and have seen that it helped me get in much better shape. LOL! yes me too sorry about them Broncos! Hopefully soon they will bring home a trophy! 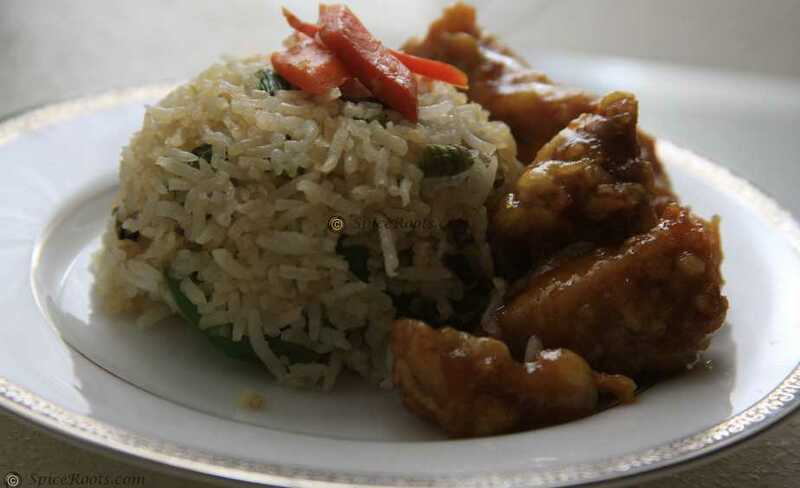 This is a regional dish from the west of India, Maureen and you won’t typically find it in a restaurant. Though I wonder why don’t they serve food like this! Sorry your Broncos didn’t do better. That’s football, alas. Anyway, lovely dish. This is so tempting! Thank you. Yes.. it was a really bad and sad and upsetting day for Broncos and the fans. Well We live to tell the tales !! Thank you, John! 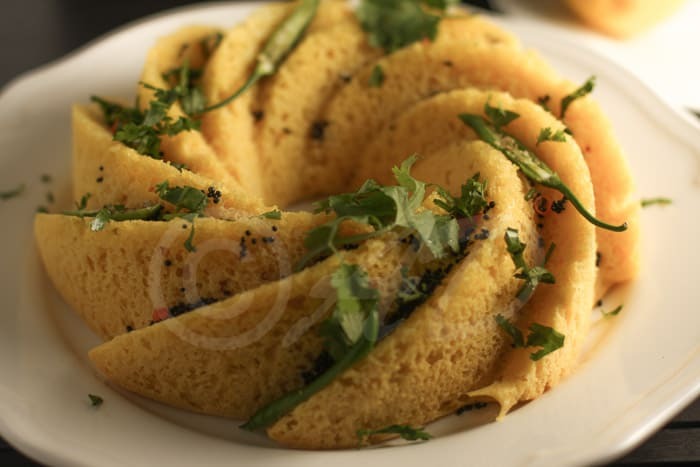 Dhokla looks too good in that fancy cake pan. 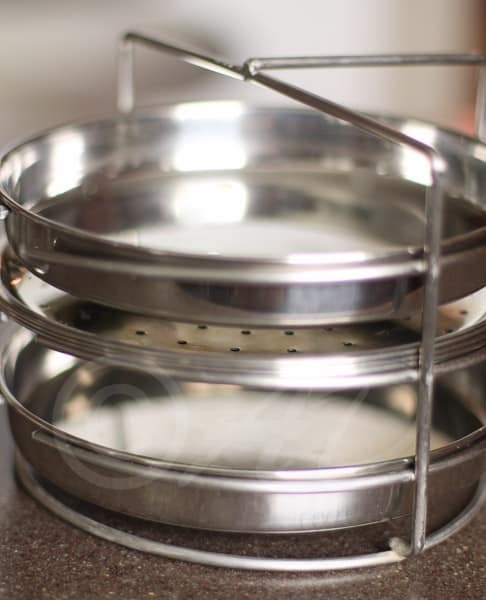 Ansh I don’t have a steamer mould for dhokla hence I always bake it in 8″ cake tin, even HANDVO. Yours look just too good in that fancy cake pan. Thanks Balvinder. I always thought the dhokla mould needed to be bettered. So I used cake pans, then I thought why not a bundt pan .. I wasn’t sure it it would work.. I was so thrilled when it did. I have never made handvo.. I am going to try it as soon as my Mother in law comes visiting. That is the prettiest dhokla I’ve seen. What a wonderful idea to use a bundt pan. Thanks Priti 🙂 It still is the plain old dhokla. 🙂 You continue to amaze us, really! Anshie, a quick question. Can carbonated water/ club soda replace fruit salt in this recipe? I have never tried it. You could try with a small batch and see? What an innovative idea. I have never seen dhokla this pretty. Thank you. Oh wow! You have outdone yourself! Mouthwatering it looks. Saw it on Facebook and wanted to come and leave you a comment. Great job.